Whether they are sending snaps or tweets, teens spend hours on social media. While you might only think of the negative effects that social media can have on teens, there are several positive effects as well. Look at the different ways that social media can affect teens and their relationships with peers. Social media isn't all bad for teens. In many ways, social media can be a great outlet for students to stay connected with one another and share their feelings when they are having a hard day. Their online friends can also be a great support system for them when they are going through a tough time. While it might sound amazing, it also has negative effects on teens' health. Not only can it affect their mental health but bullying become much easier hiding behind a keyboard. While the bully is faceless, the words are just as hurtful and have the same effect. Before going all out on social media, it is important to explore both the beneficial and the ugly of your favorite sites like Instagram, Facebook, Snapchat, Twitter, etc. There is a reason most kids on school campuses today can be found with their nose in their smartphone. They are checking their feeds, messaging their friends or just laughing at a funny snap. Whether you are shy or outgoing, Snapchat and Instagram might be your favorite go to places to keep connected with friends both near and far. And it isn't just about staying connected, social media has a lot of different benefits for teens. When you think of social media, cyberbullying might be the first thing that pops into your head. However, surprisingly research shows that social media can actually help to strengthen friendships for teens. A study by Common Sense Media showed that 52 percent of teens thought that their friendships were improved by social media and 30 percent said it improves their confidence. This makes sense since social media gives you easy access to your friends. Not only can you talk to one friend, but you can have a group chat or just virtually hang out. Sometimes this world is lonely. Maybe you are fighting with your bestie or just having a hard time connecting with people in school, social media can help isolated or lonely teens. According to PyschCentral, lonely teens turn to social media like Facebook and Snapchat to connect with friends. A study also showed that social media can help to curb loneliness overtime and improve mental, emotional and social well-being in some teens. Additionally, those that are more introverted might not be as cautious on social media and relate to their peers more. When you are having a bad day, sometimes a virtual hug is the next best thing to the real deal. Not only that but with a few simple clicks of the keys you can share your bad day with your friends. This can help them to understand and relate to you about problems maybe they didn't even know existed. According to a study by Pew Research Center, 7 out of 10 teens feel that they get support from friends over social media when they are having a tough day. This happens more among girls at 73 percent than among boys at 63 percent. Writing is writing. While social media writing is informal writing, these sites do get kids writing, which is important to communication development. And some teens get creative with their writing by creating poetry, memes, etc. that they share with their friends through sites like Instagram and Snapchat. Writing and communication don't just encompass academic writing. Texts and tweets help teens to find their inner voice, according to Edutopia. Gone are the days when you would send a friend in France a letter through snail mail. The emergence of social media lets you connect with teens all over the world in a few clicks. Not only does social media allow you to connect with kids across states but you can gain friends from another country. And Google Translate can ensure that you can semi-understand one another. Social media like Pinterest and Instagram can open the door to creative outlets for teens. For example, a 16-year-old art student might share her art to gain feedback or they might create a digital piece. An aspiring writer might share her words through unique tweets. The opportunities for teens on social media to express their creativity is endless, and it will be viewed by all their friends. It isn't all just lollipops and rainbows in the social media world. When a teen logs on to their account, there are some very serious negative side effects that they could be exposed to. Not only are cyberbullies more aggressive but social media can affect your mental and emotional health. Learn some pitfalls of your favorite social media sites. While the statistics aren't conclusive, many studies show that there is a correlation between the increase in suicidal thoughts and depression in teens and social media. 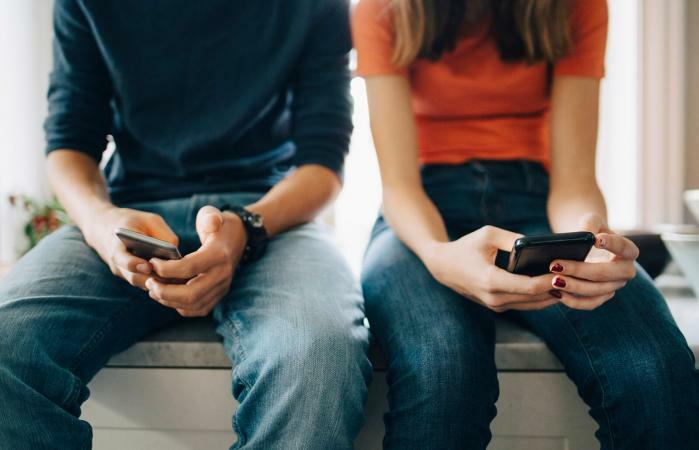 One study points out how depression is on the rise and one of the main changes between teens now and teens 10 years ago is social media and cell phones. Many researchers hypothesize that social media connections don't allow teens to make the deep connections that only face-to-face transactions can stimulate. Additionally, anxiety and stress can be exacerbated by social media. One wrong tweet and millions of cyberbullies can attack. One of the greatest forms of social media abuse for teens is cyberbullying. Statistics show that nearly half of young people have been on the receiving end of online bullies. Instagram was a big culprit with a whopping 42 percent bully rate. Facebook came in a close second at 37 percent with Snapchat trailed at 31 percent. With nearly three-quarters of kids worrying about being bullied, this is a real problem on social media. In addition to bullying, social media also increase the instances of peer pressure for kids to do what is cool or trending. With kids spending so much time online on social media sites, it isn't surprising that teens are becoming addicted. Teens have a need to answer that message or complete their streaks for the day. And not doing so can be nearly the end of the world. With teens spending as much as 9 hours a day on social media, it is easy to see how addiction to social connections can happen. Social media exposes teens and tweens to unrealistic standards from not only ads but their friends. With beauty filters that can make your eyes bigger and your skin clearer along with the right angles, any teen can be a supermodel. But this isn't real life. Teens that see this on social media can start to have unrealistic expectations for themselves that can lead to self-esteem issues with an unhealthy ideal body image. The personas that they create that are different from their real selves can also lead to anxiety and self-esteem issues. Many professionals point out that social media communication has replaced face-to-face interaction and changed grammar and syntax through shortened versions and acronyms. The lack of communication can hinder a teen's ability to read body language and engage in a meaningful conversation away from a screen. It can also hinder their ability to form meaningful relationships in adulthood as well. Not only can social media open the door for predators, but it can create a false sense of security for some teens. Since they only have people on their friends' list, they might share more information than they would share on a chat room. But the problem is that many of their "friends" they don't truly know. For example, the average teen Facebook user has 300 friends that can see and share their information. With only 60 percent keeping their page private, teens can be found by child predators and lured by human traffickers. Social media is a powerful tool to connect teens with friends and family. Not only can they find the support they need but make friends around the world. However, social media can affect teens self-esteem and mental health because of the unrealistic expectations found online. After learning the pros and cons, make your own decision about whether Facebook is good or bad for you.